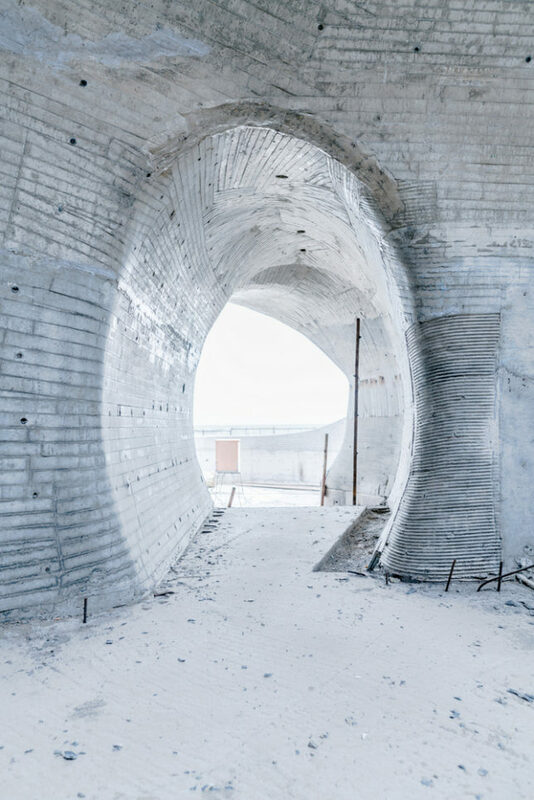 Designed by OPEN Architecture and sited along the Chinese coast near Beijing, this building complex is a mysterious maze of fluid concrete shells, all of which will be reburied under sand when construction is complete, restoring the appearance of the beach. 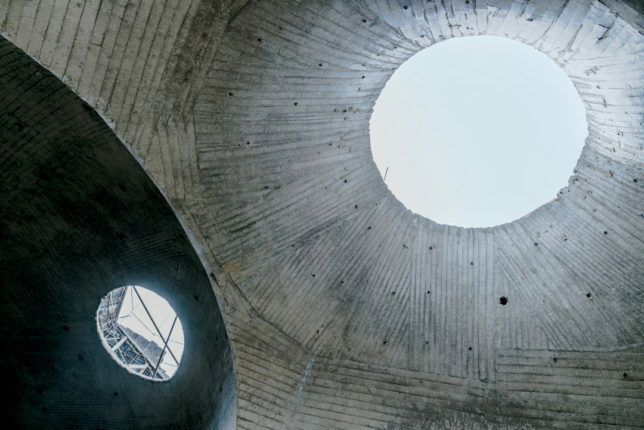 The monumental and cavernous Dune Art Museum is meant to evoke primal imagery, tying modern experiences back to ancient human cave-dwelling (and cave-drawing) ancestors. 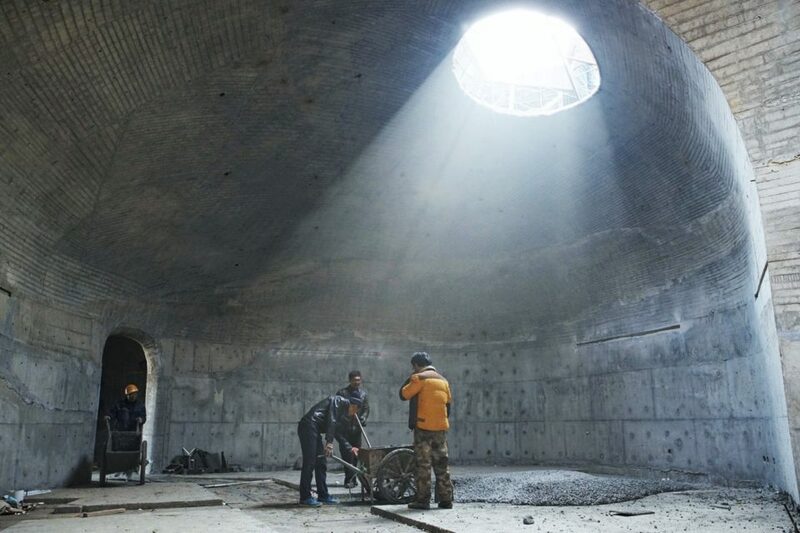 Below ground, the spaces are designed to fit different programs, including gallery, studio, cafe and bookstore areas. The entry is a long, dark tunnel, further heightening the sense of removal from the surface (punctuated by light from skylights above). 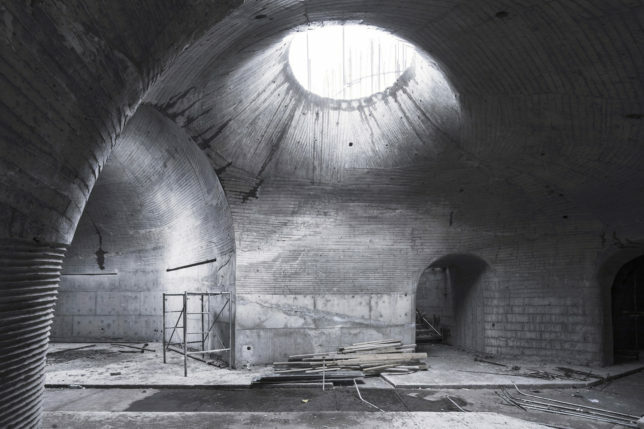 Museums naturally need a lot of protection from natural light to control aging, making an underground one an obvious choice in a lot of ways. 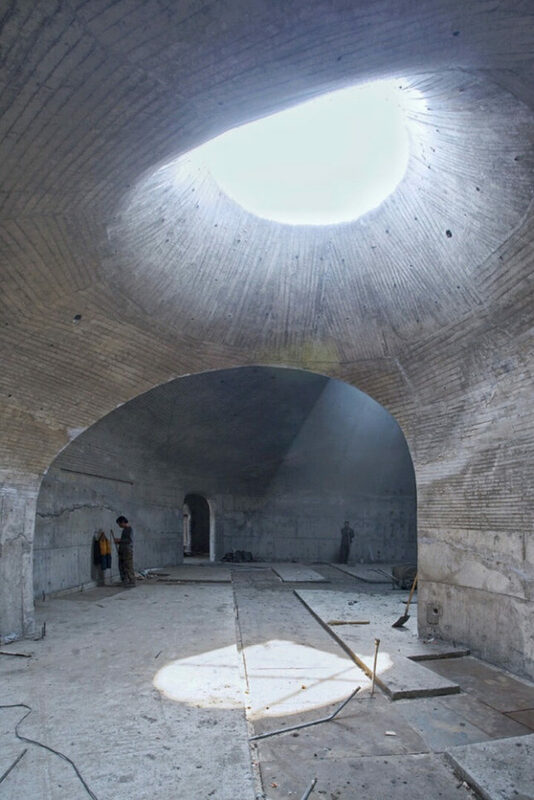 Some spaces not requiring this isolation, however, will have views out to the sky and Bohai Bay beyond where they can watch the tides roll in. 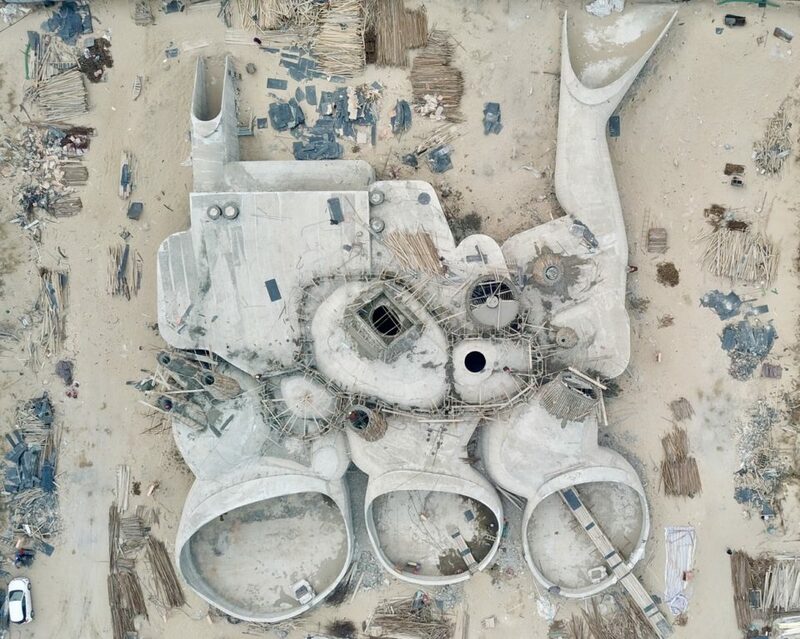 has released the latest construction photos of the Dune Art Museum topping out in a Chinese coastal city near Beijing. 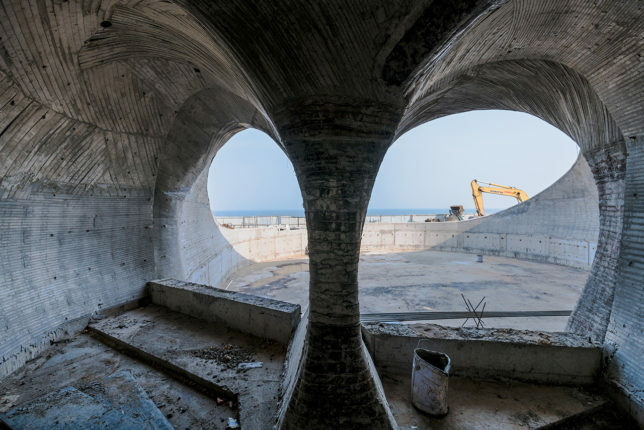 The art museum manifests itself as a complex of interconnected concrete shells, which in the next and final stage of construction, are to be buried in sand and shrubs to restore the natural silhouette of the dunes on the beach. 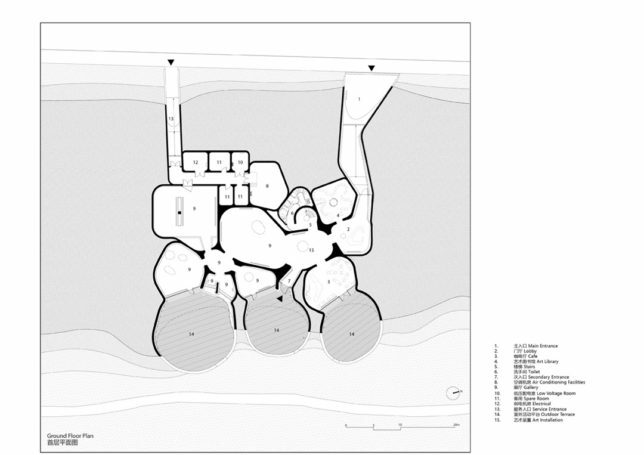 “The Dune Art Museum is the first installment of the project, Dialogue by the Sea. The second installment will feature the Sea Art Museum, a dock-like structure to be constructed offshore. 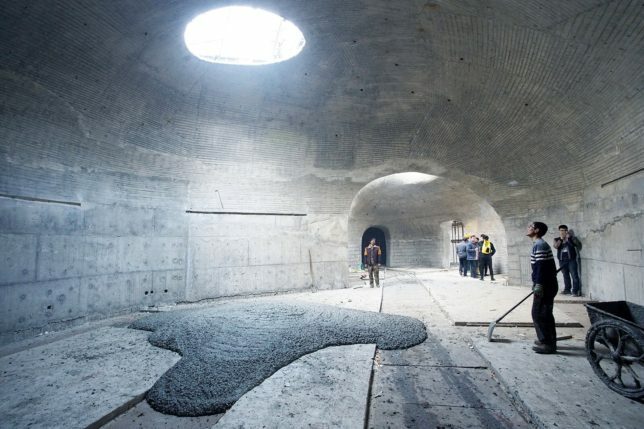 The two museums will be connected by a narrow stone passage, accessible only at low tide.